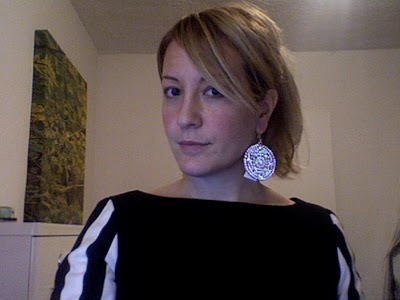 To give you an idea of how the earrings look as opposed to a necklace, I took a picture of myself with my computer. It's not the best, but it should do. What do you think? 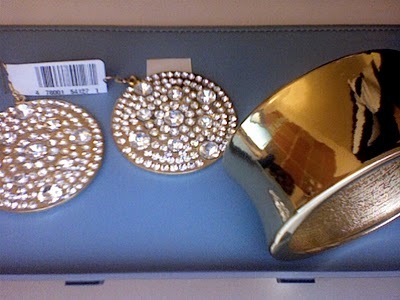 Should I go back out tomorrow in search of a necklace or do they work? I'm thinking I like the earrings. So, what do you think about everything?